This is one of my favorite go-to dinner dishes. The recipe calls for pasta, but I actually leave it out most of the time I make it. 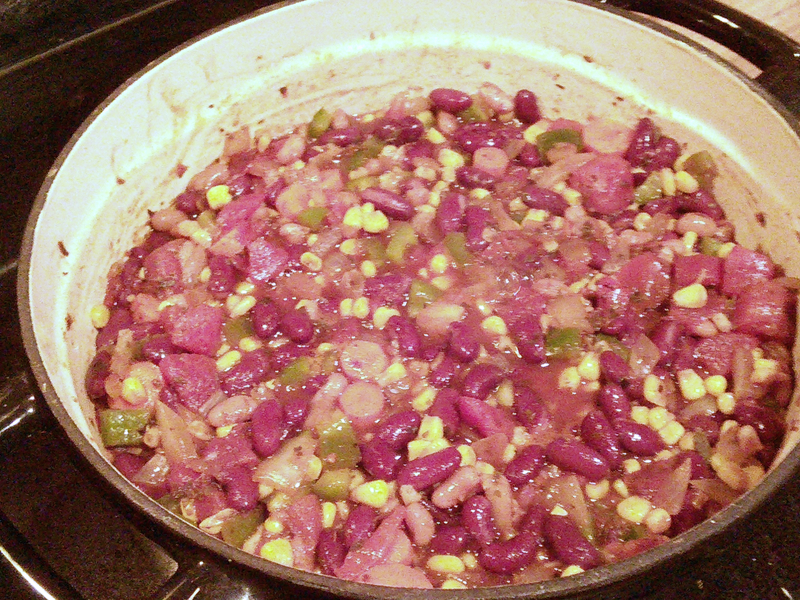 I like the chili on its own! So, use the pasta or not, it’s good either way. This is a little spicy, so if you don’t like spice, completely omit the cayenne pepper. I actually add a tiny bit more when I make it—I love spicy foods! Don’t be scared off by the length of the ingredient list. This recipe is extremely simple to make. The only time you need to spend making it is chopping a few vegetables and waiting on the food to simmer. In the pictures I use below I’m actually making a double batch (leftovers! ), so don’t fret if the volume looks different. Cook pasta in boiling water until tender. Drain and rinse under hot water, then set aside. While that’s going, heat some of the vegetable broth (2 tbs.-ish) in a large pot. 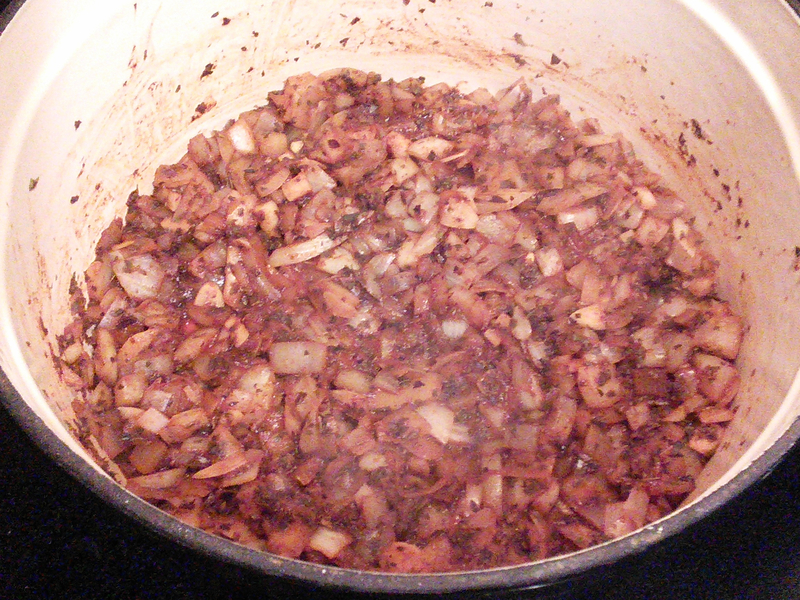 Add the onion, garlic, oregano, chili powder, and cayenne. Cook over medium heat until the onion is soft. Add remaining vegetable broth and all of the rest of the ingredients. Simmer over medium heat, stirring occasionally, for 10 minutes (or until the carrots are as tender as you want them! I prefer mine with a little crunch). Season with salt (if using). Serve over the cooked pasta!